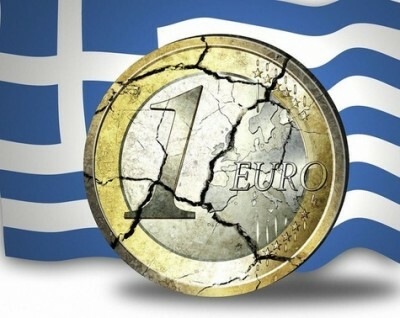 Greek Economy Minister George Stathakis told the Financial Times: “We have a deal” – for an 86 billion euro bailout over the next three years at a cost of selling Greece’s soul to predatory money lenders, financial terrorists by any standard. The European Commission confirmed “an agreement in principle.” Some details remain to be resolved. In other words, total capitulation to Troika demands no just societies would tolerate – agreeing to let Greece be more financially and economically raped and pillaged than already, its entire population (except its privileged class complicit with Euroland bandits) held hostage to monied interests wanting all their demands met, unwilling to compromise, uncaring about appalling human suffering already inflicted. So-called “prior actions” agreed to include a 50 billion euro privatization scheme to loot prime Greek enterprises and assets over the next 30 years, as well as a plan for dealing with 90 billion euros of past due loans. Greece needs immediate funding to pay pay 3.2 billion euros in ECB debt service by August 20. Details agreed to other than what’s already known weren’t announced – or remaining unresolved issues. On Tuesday, technical agreement talks will conclude. Finance ministers of all Eurozone nations must approved agreed on terms. The FT said a conference call involving finance ministers from all 28 EU members is planned for later on Tuesday – “in case the talks fall through again and Greece requires (another) bridging loan to” pay ECB debt service later this month. Eurozone finance ministers are expected to meet Friday in Brussels to approve bailout terms if all goes according to plan. Countries requiring parliamentary approval (including Germany) will seek it next week. The FT reported all parties agreed to aim for a 2015 Greek 0.25 budget deficit, a 2016 0.5% surplus, 1.75% in 2017, and 3.5% in 2018. Given Greece’s dire financial and economic condition, deficits may increase ahead, not improve. Its economy teeters toward collapse. The new bailout deal exacerbates its problems – piling on more odious debt than already with no way to repay it. At some point, default becomes inevitable. SYRIZA officials will present the bailout package to parliament on Tuesday. On Wednesday, its economic committee will review it, then a final vote on Thursday. Expect rubber-stamp approval like before despite overwhelming public opposition. Final score as expected: Bankers win. Ordinary people lose. Price for defeat: Greater unemployment, destitution, lost or reduced social services and human misery. No society should tolerate a system based on predation. Western ones allow no alternative.